But at the same time, there’s nothing wrong with wanting a sizable stone. 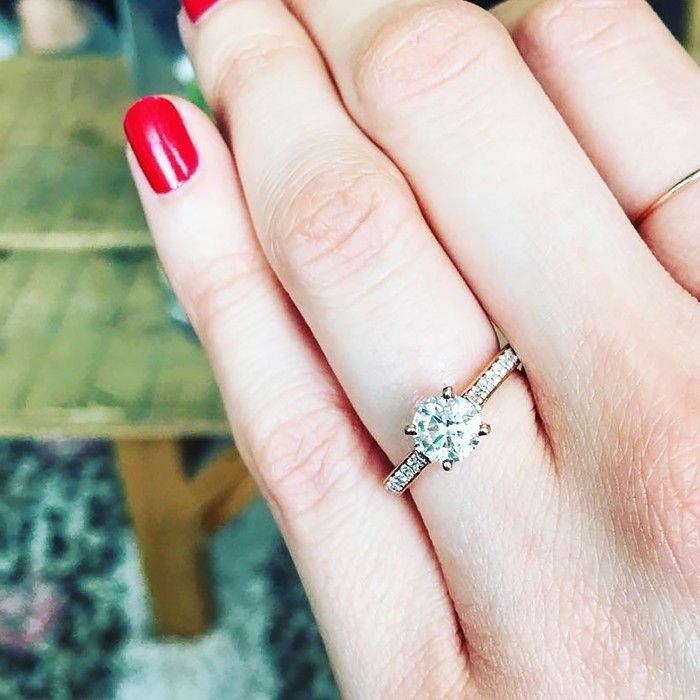 Whether you’re shopping for rings or you’ve already got one on your finger, here are five solid tricks for making an engagement ring look bigger than it actually is. The best part? These tricks don’t always require spending extra cash. While there’s nothing like a huge diamond to catch the eye, it’s the way the stone is cut that really catches the light and can make a rock look bigger. “A well-cut diamond with proper angles and facets will not only be beautiful and brilliant, but will look larger,” jeweller Greg Kwiat told Brides.com. Work closely with a gemologist you trust to find a stone that’s cut to maximise its size. A diamond set in more slender prongs is always going to look bigger than one set in larger prongs. It’s all about proportion. You may have heard the interior design tip that a mirror will make any space seem larger. Well, according to jeweller Michelle Adorjan of Tacori, the same idea applies to diamond rings. If you opt for a platinum band, the image of the stone will be reflected in the metal, creating the illusion of a larger rock. Perhaps the most straightforward way to make a center diamond look bigger is by putting a ring of smaller diamonds around it—at a certain distance, the halo will be indiscernible from the main attraction. You can either get a halo that is flush with the center diamond, or you can opt for what’s called an expanded halo, which is slightly set apart from the middle stone, and makes the diamond appear even larger. If you opt for a ring with side stones, especially ones that are on the more humble end of the size spectrum, your center gemstone will look bigger. Side stones also make the ring as a whole look like a bigger piece of jewellery. 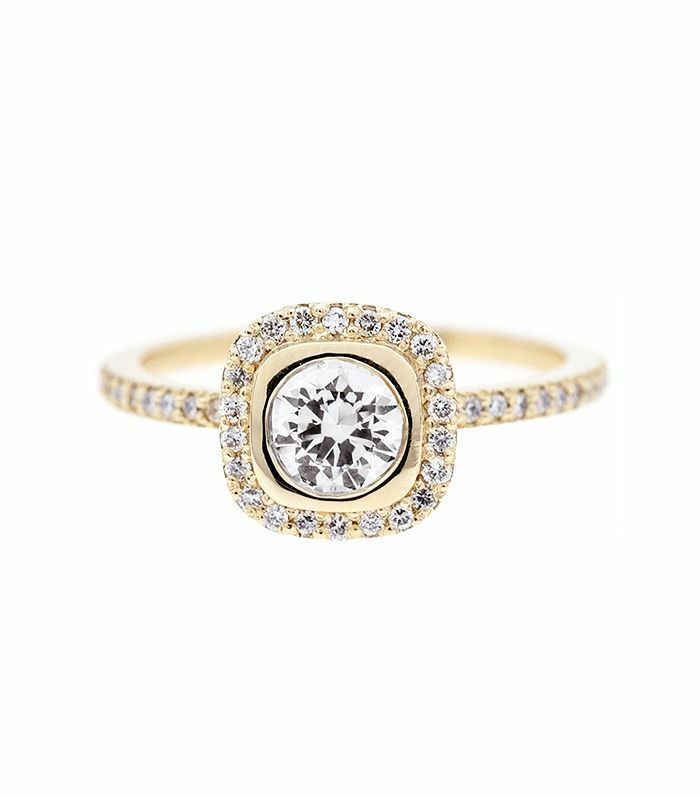 Keep scrolling to shop 16 gorgeous engagement rings now! Do you think you’ll try these tricks to make your engagement ring look bigger? Tell us in the comments below!